We hope to receive the campaign funds from KS this week, and after that we can pay for the production to the manufacturer. We have now corrected what we believe to be the last typos in the material (thank you all of you who have commented!). The booklet of the short introduction to the civil war now has its layout finalized, and we are making sure that all our photos are properly credited. Besides all that, we are preparing for fulfillment as well. We will be asking for your address once we are getting closer to shipping the games. This is to ensure that we have most current information from you, and no games will be travelling around the globe to wrong addresses. There will be a separate update about that later! Until then, thank you again for your support! It means a lot to me, Todd, and everyone else who is working on the game. The campaign was way more successful than I thought could be possible. As a small indie game firm, seeing how that the last stretch goal was met literally a few hours before the end of the campaign was both exciting and exhilarating. I must say that I am very proud of you all who have put your trust on us with this and we will do our utmost to be worth of it. To me this is crowdfunding at its best. In this update we briefly discuss the next steps and how to pre-order the game, if you missed the campaign. We have already contacted the printer, NSF in the Netherlands, and as soon as we receive the funds from Kickstarter (about 2 weeks from now) we can make the order. The final layout of the historical booklet will be done by then (the text is ready), so this will not delay the manufacturing process. Once again, I thank you for your contribution. Besides getting a game that I have been working on for years, you might also get some satisfaction from knowing that you are funding the rarest type of game to be funded via Kickstarter. If you think about it, this is a niche (crowdfunding) of a niche (wargames), of a niche (board games) hobby. I am glad to be able to share a part of this process with you, and I am glad to have your support! ... came when in a cold February, 100 years ago, the Reds' general offensive was unsuccessful, even with weapons from Soviet Russia. For us, it comes in just a few hours, and the support that the campaign has received is phenomenal, especially in the last few hours. Thank you! 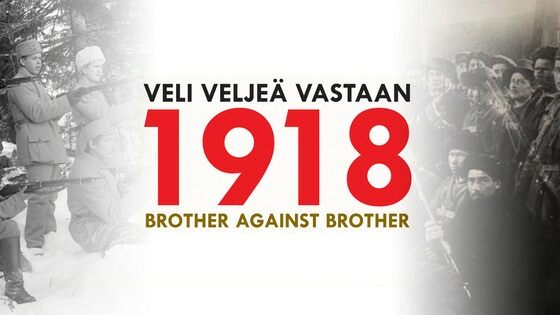 Now you can now decide the fate of Finland not just face to face but also online! Thank you again for sticking with us as we conclude the funding portion of this campaign. Next will be preparing for printing! We need the funds from Kickstarter before we can print, so we expect that to start about 2 weeks after the campaign. Or [ˈjyʋæsˌkylæ], if you prefer the phonetic alphabet. In other news, we have been working on the layout of the historical variant, and we are close to releasing the final rulebook - also in Finnish. More on that and more in a future update! Greetings from a snowy Finland! The campaign is well funded, and we are very happy with the support the game has been receiving. However, we are not resting on our laurels, and we have not been idle during this time. Based on the various comments and feedback that we have received, we have been working on the various components, starting with the board. None of the changes affect the rules, but they do make gameplay a bit smoother. The combat notes were a bit difficult to read. We rearranged the map so that they are now above the battle tables where there is more room. They were also slightly reworded. This enabled us to also increase the font size. The strategic towns now have their names on more visible font, which helps to spot them even with units on them, which was somewhat difficult before. The one thing that we got quite a lot of responses about was that setup was time consuming. Apparently not everyone is as familiar with the geography of Finland… so we added small markings on the town spaces with units placed on them during Setup. The legend on the side of the map has been updated with movemement costs for roads and railroads. Thanks again for your support! We will also be posting an update with the improved rulebook and we are now working on improving the cards as well.